University of Texas Rio Grande Valley Guitar Festival. 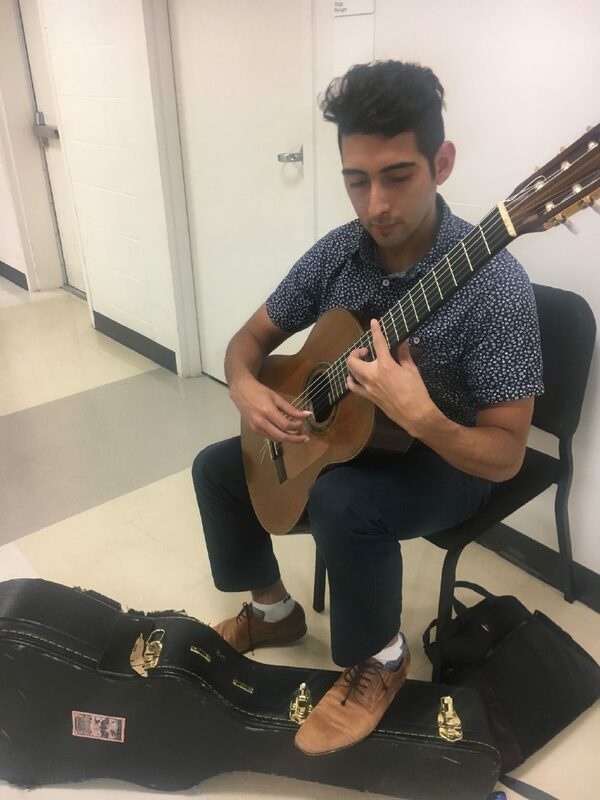 EDINBURG — If it wasn’t for last weekend’s University of Texas Rio Grande Valley Guitar Festival, Juan Pablo Gracia wouldn’t have had the chance to meet one of his musical heroes, French guitarist Judicael Perroy. “So that was pretty cool,” said the sophomore music education student. According to Kurt Martinez, director of the School of Music, the aim of the three-day festival was to expose students and anyone interested in the string instrument to new techniques and potential career paths. 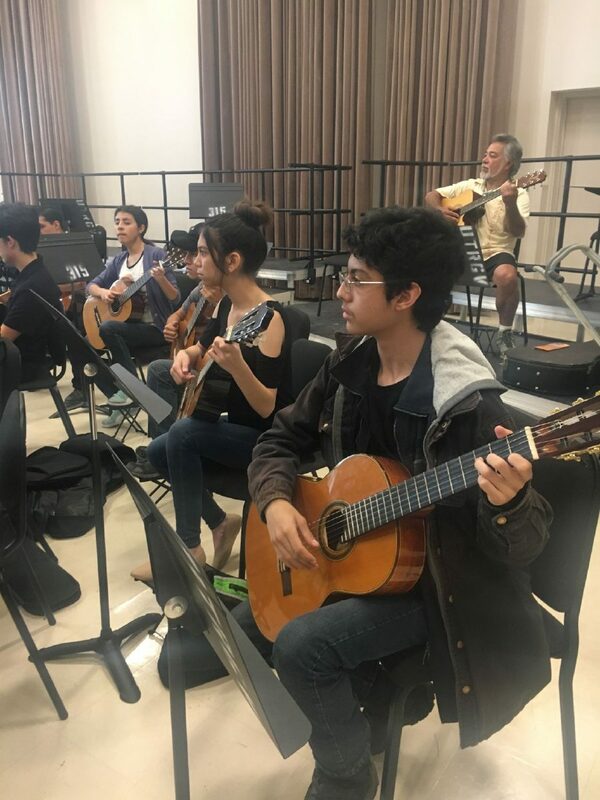 Saturday was Dia de la Guitarra, a day in which renowned guitarists from around the world shared lessons suitable for all ages and experience with the public. “It’s basically bring your guitar and come have fun,” Martinez said of the event. Gracia sat in the hall strumming his guitar to warm up before a workshop. 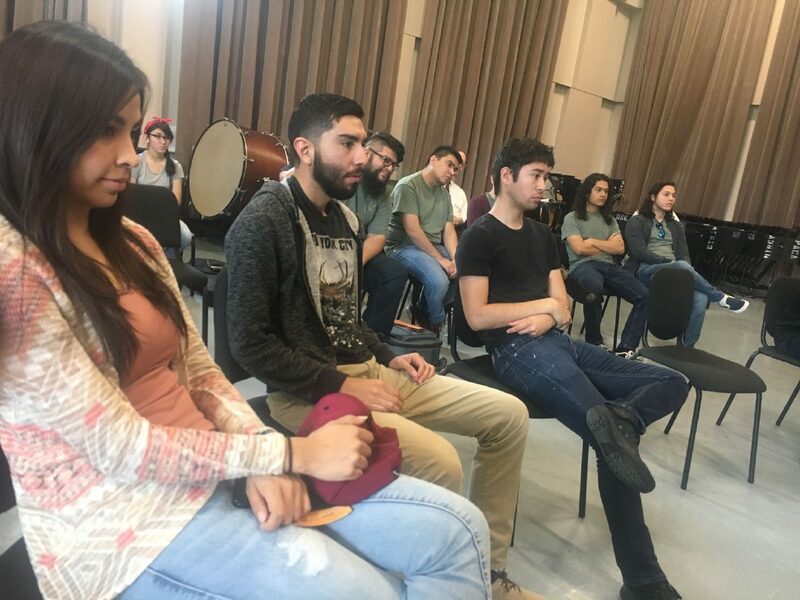 As a music student and part of the UTRGV ensemble, Gracia said he “couldn’t be happier” with the programs offered. Each day featured a concert, for which the attendance typically ranges from 300 to 500 persons, according to Martinez. 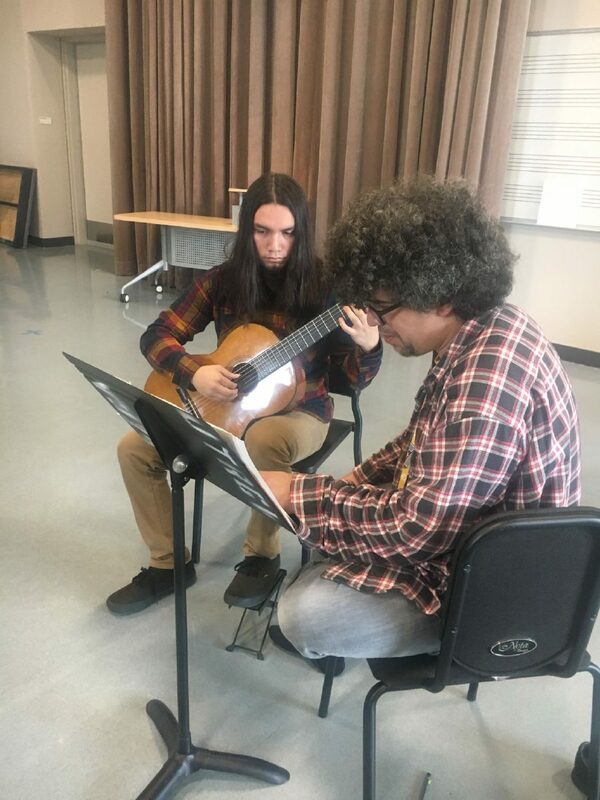 On Friday, Mexican concert guitarist Rafael Elizondo from Baja California performed in the concert hall with his pal Ramonet Rodriguez, a guitarist from Costa Rica. “It’s a very good weekend for guitar in the area,” he said. He was also on site to conduct a technique workshop. His passion for the craft began at the age of 12 after learning how to play from his uncle. 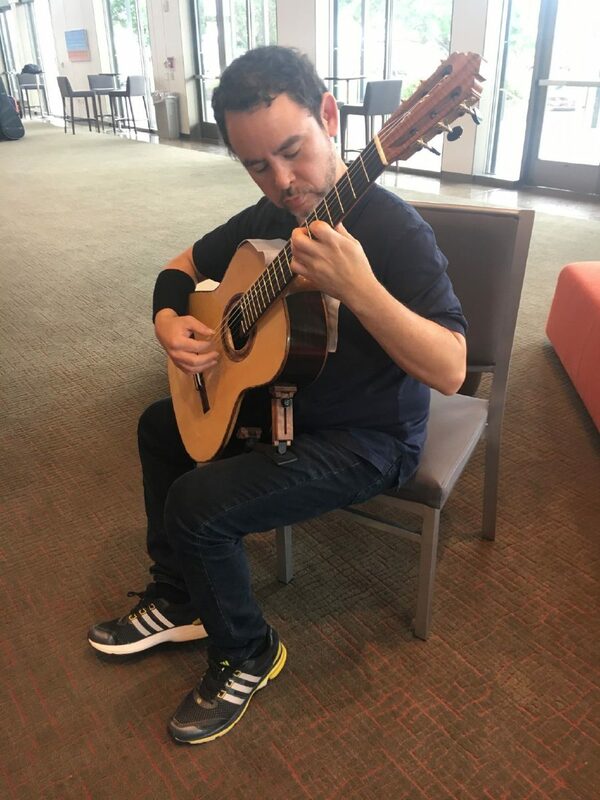 In his seminar, he taught lessons from his book on classical guitar techniques, which he also shares on his YouTube channel. The most important thing to note in order to create a career in music, he said, is “there’s not only one way to go,” and added he himself is always learning from fellow musicians. “The day you stop learning is the day you’re not going to be good anymore,” Martinez added. School buses parked in the lot of the Performing Arts Complex brought music students from all throughout the Valley, from Roma to Brownsville. 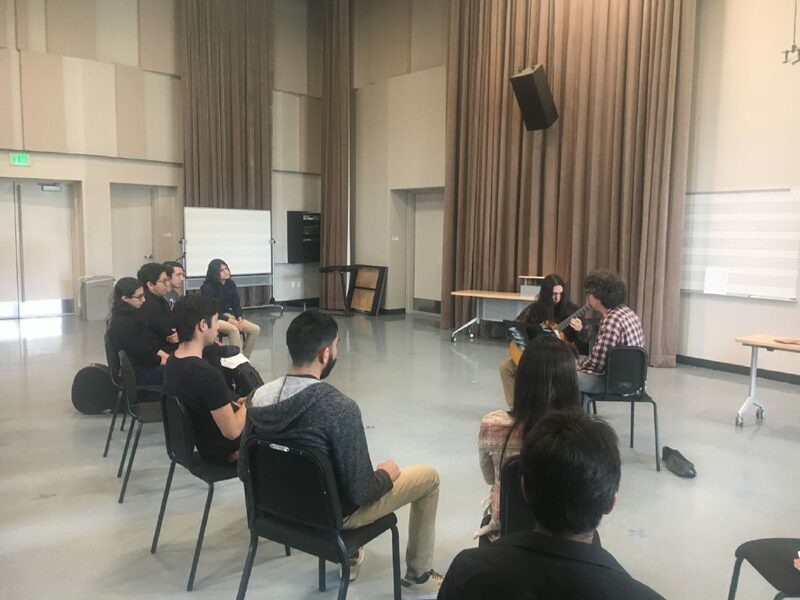 Eduardo Miranda brought dozens of his students from Edinburg North High School and his instrument store, Guitars Galore, to learn Flamenco techniques. Other topics of the day’s clinics included music history, stage rehearsal and guitar construction, taught by luthier Aaron Ringo. 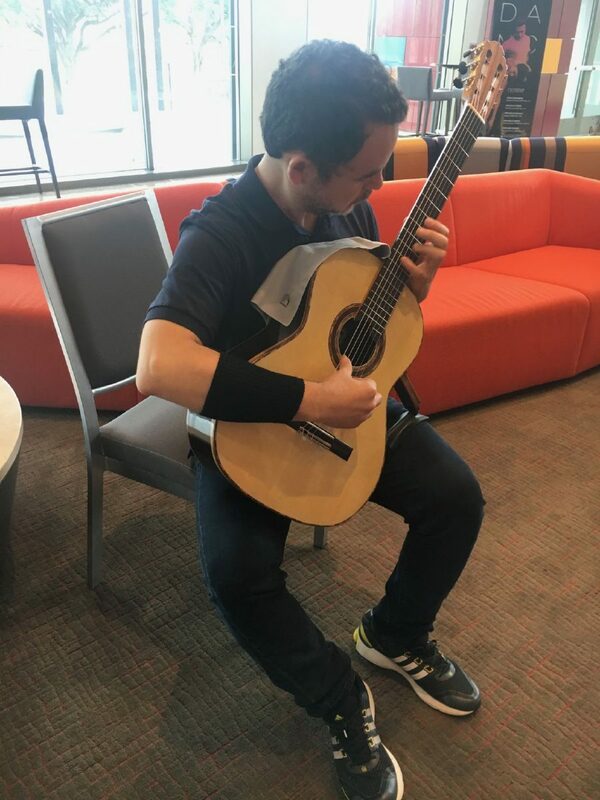 While the festival maintains a focus on classical guitar, Martinez says he hopes to broaden the style to involve jazz, blues and electric guitars in the future.